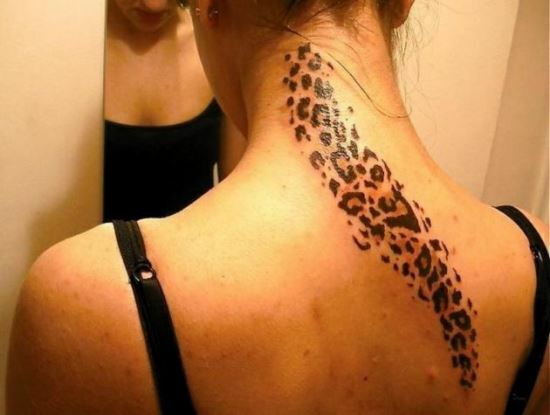 Cheetah is an animal that is quite intriguing and fascinating to all. 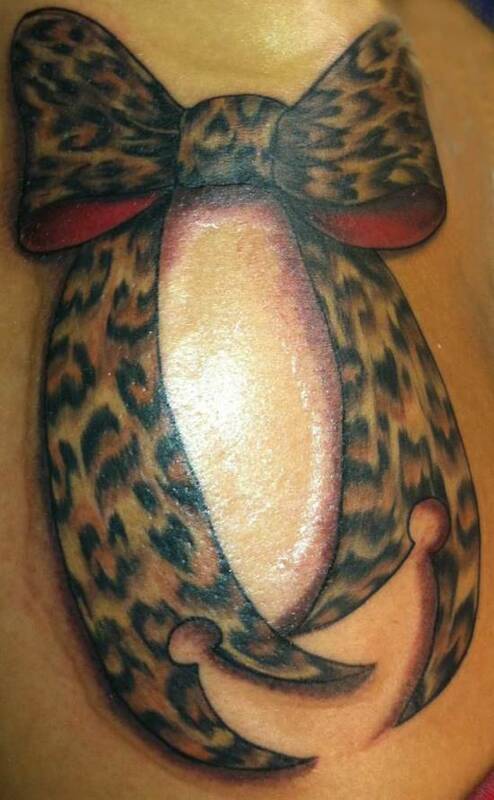 It is the one belonging to the cat family that is considered to be the fastest of all. 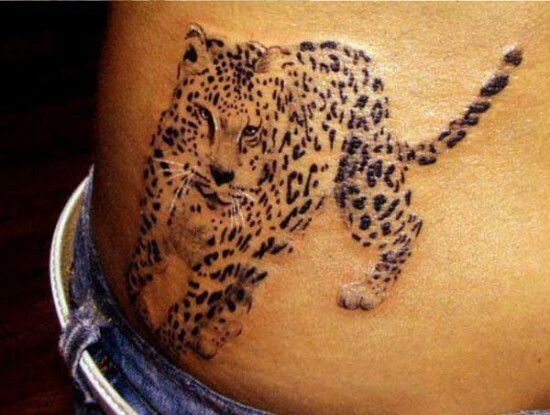 The name cheetah originates from the Sanskrit word ‘chitrakayaa’ which means ‘the spotted one’. 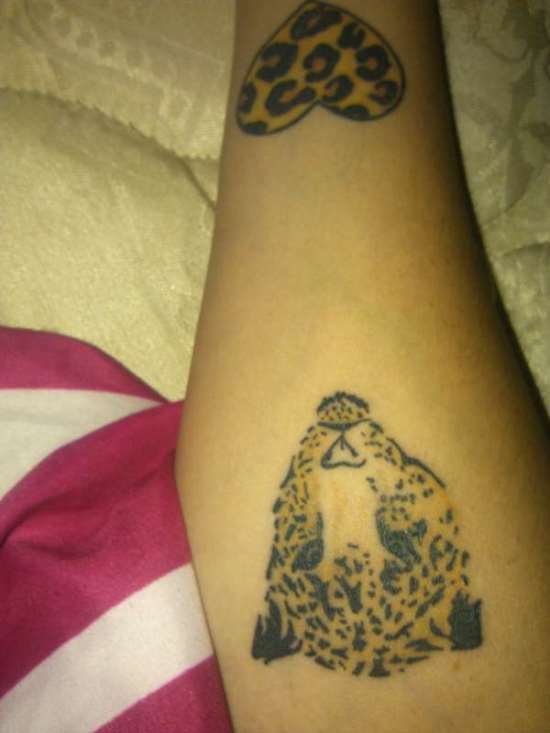 Attributes ‘status’ and ‘power’ are associated with this majestic animal. 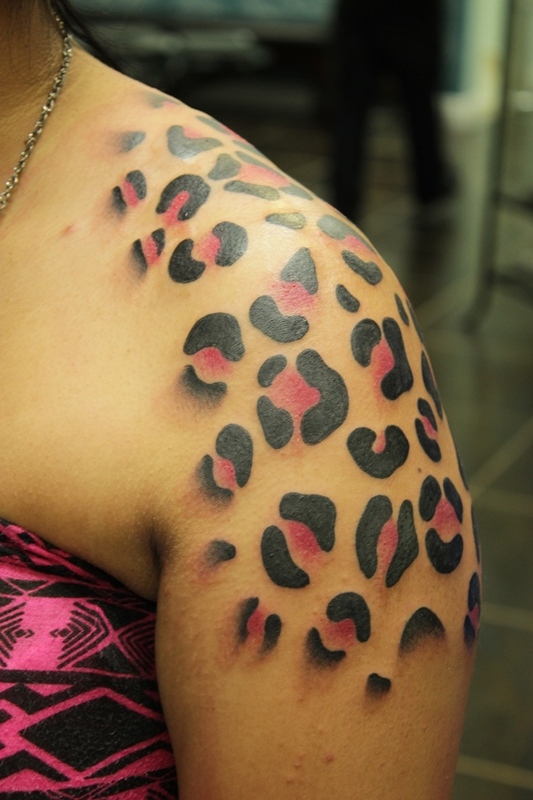 Official attires of many high class people and kings of Africa are adorned by cheetah skins. 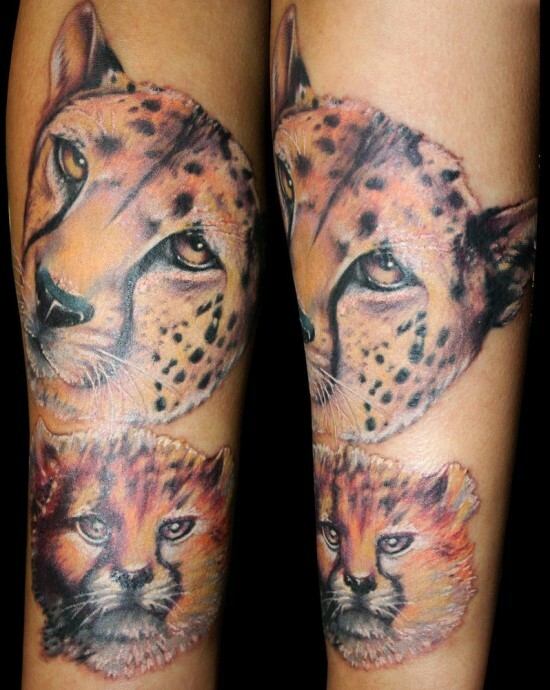 Cheetahs have also been a subject of interest for famous painters of the renaissance period. 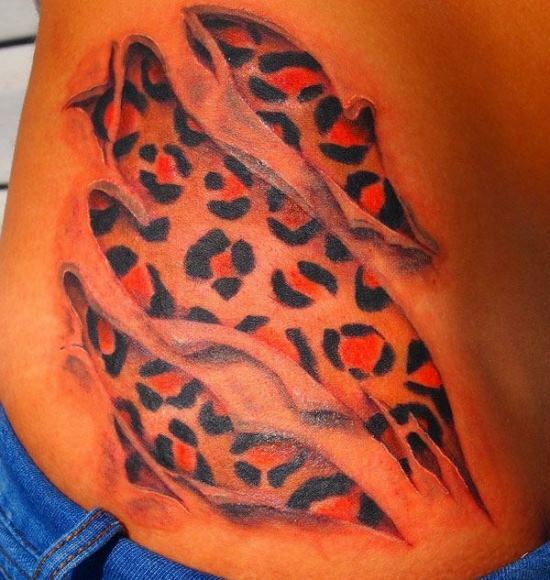 Cheetahs have also found a place in the modern world, as a cartoon character or a snack called Cheetos. 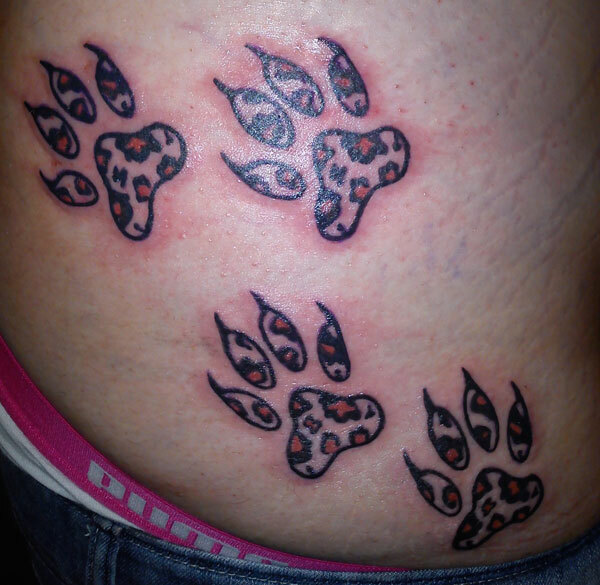 Cheetah tattoos are another area where cheetahs have woven its way around in our lives. 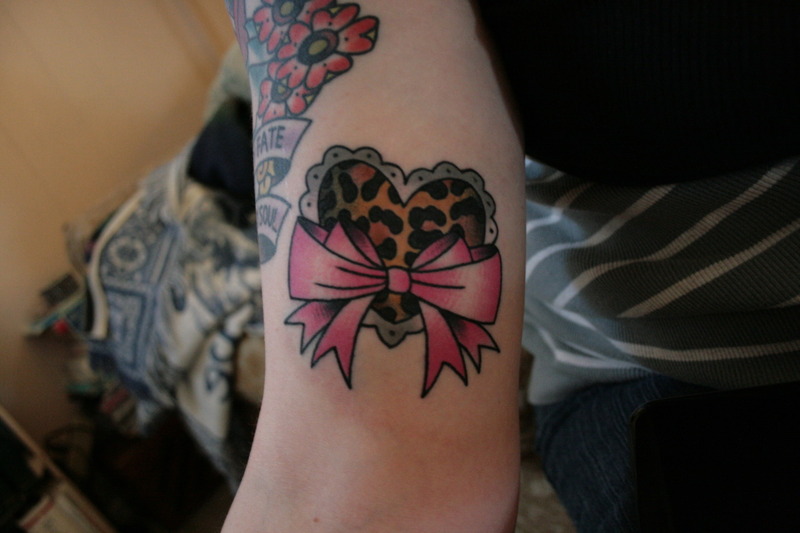 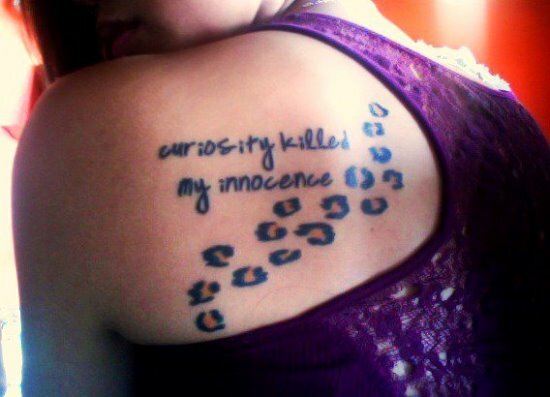 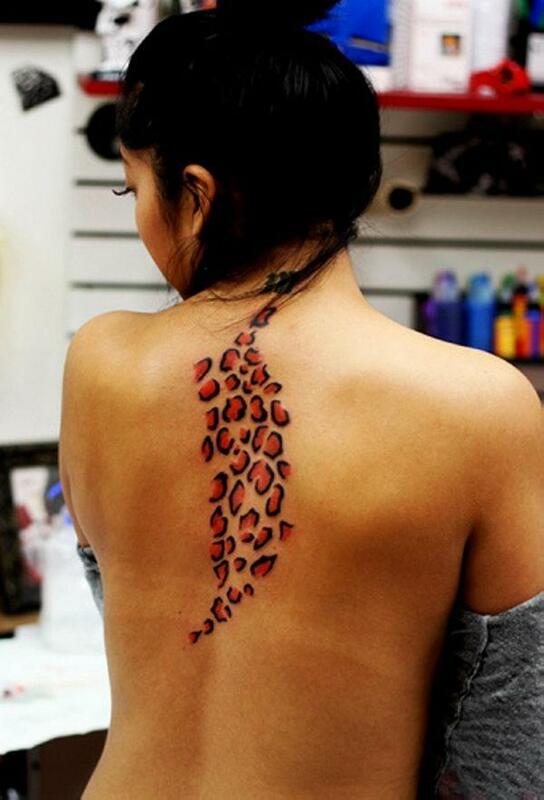 As such, cheetah tattoos do not have any specific or special meaning attached to it. 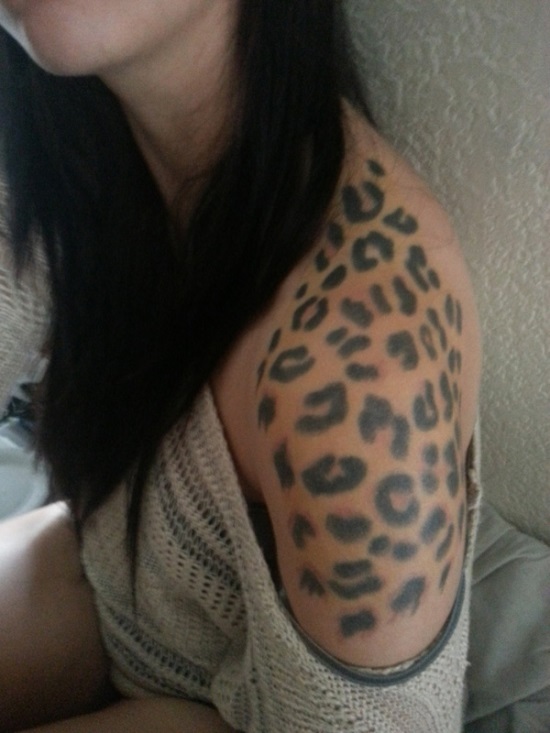 However, the majestic appeal of having a cheetah print tattoo is merely reason enough. 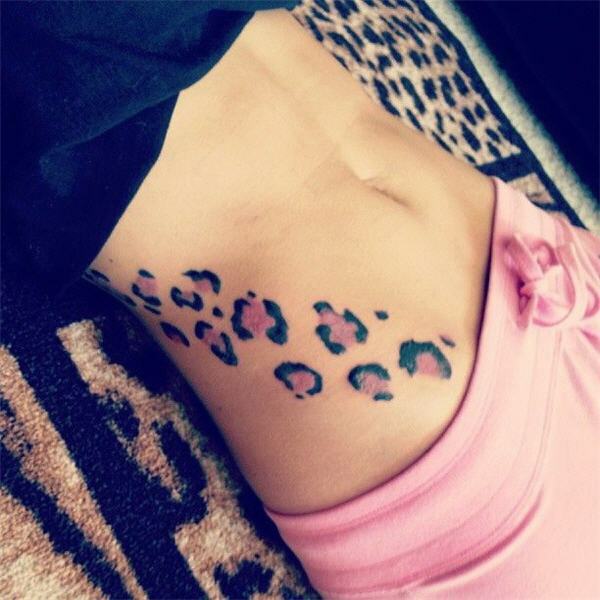 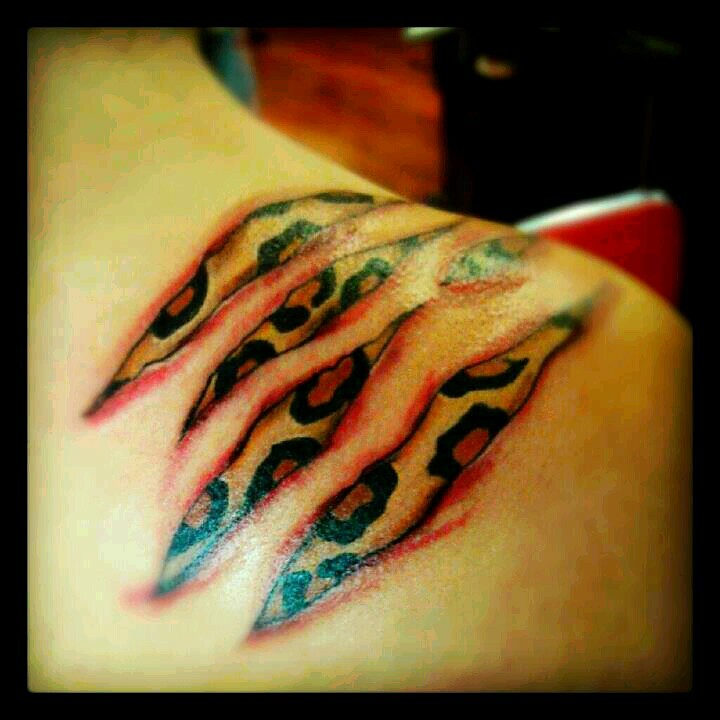 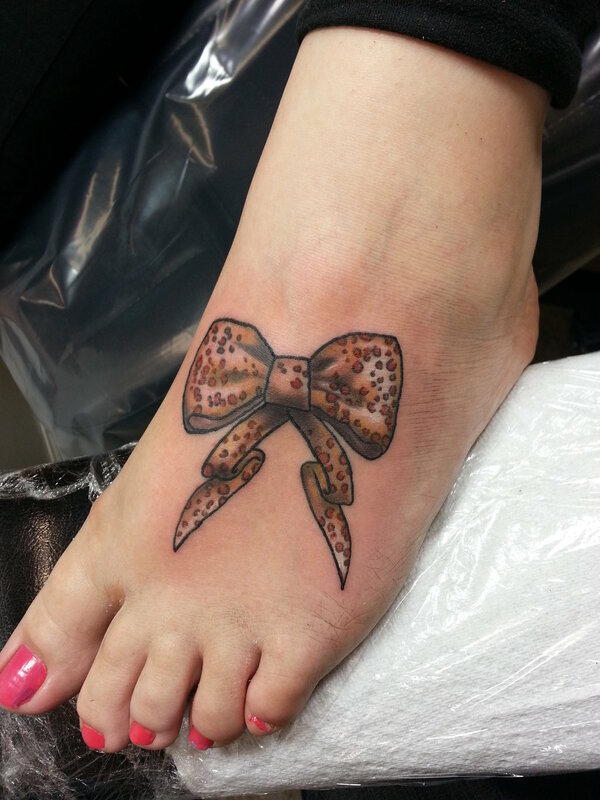 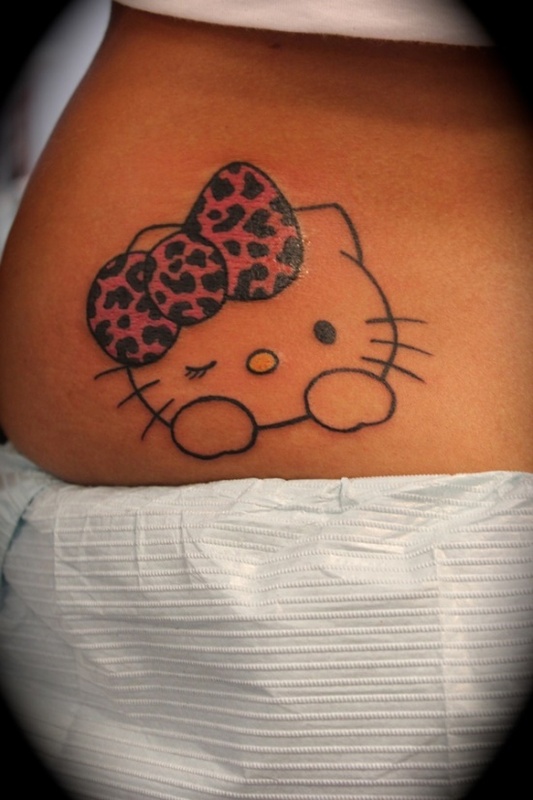 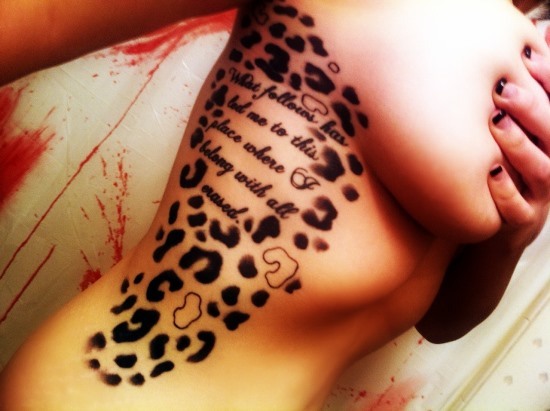 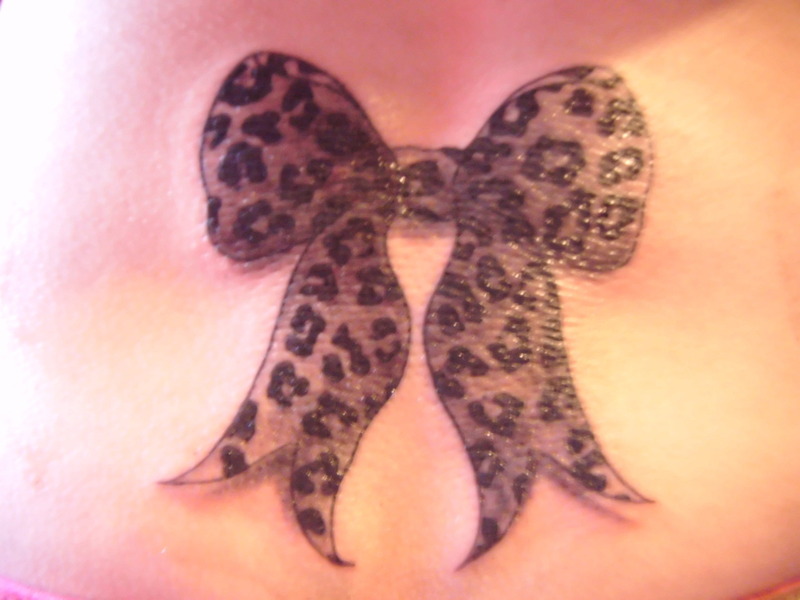 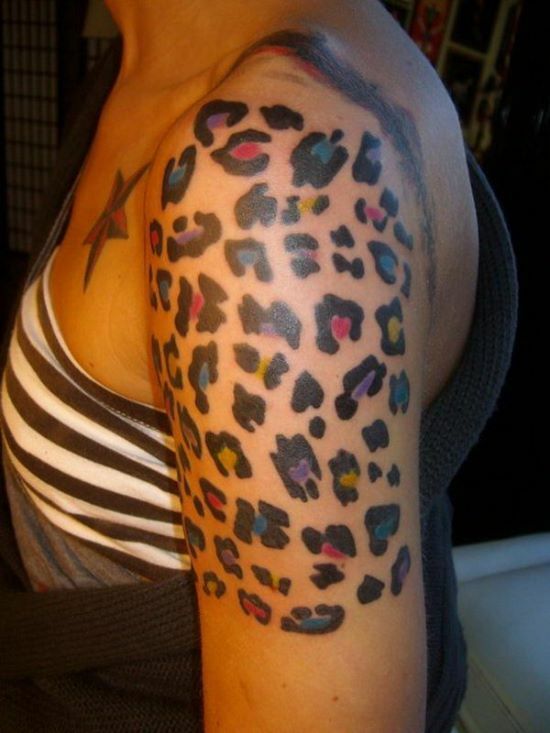 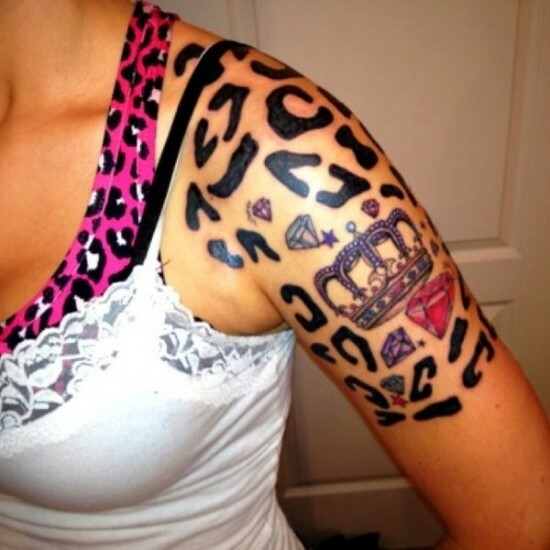 Cheetah prints are especially attractive for women for the exotic and fashion style these tattoos bring with it. 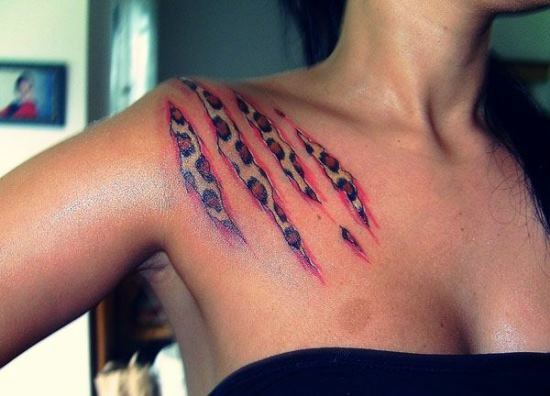 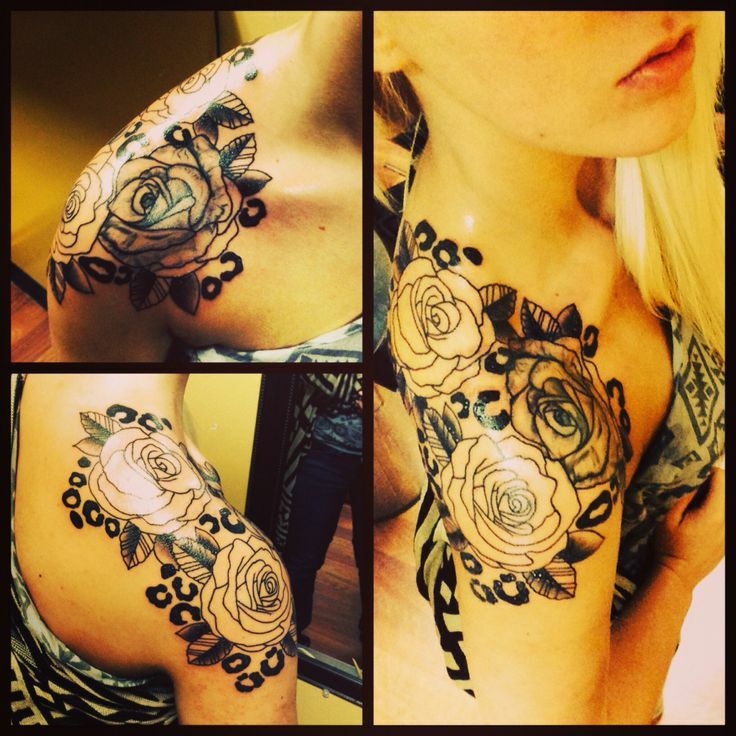 Women may get such a tattoo done on any part of their body. They may have it inked on their foot, ribs, side, shoulder, or even face. 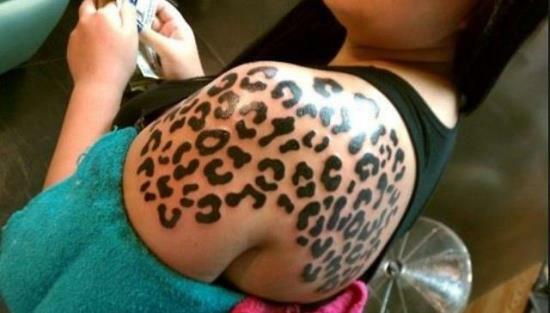 Even men get these cheetah print tattoos done on their bodies. 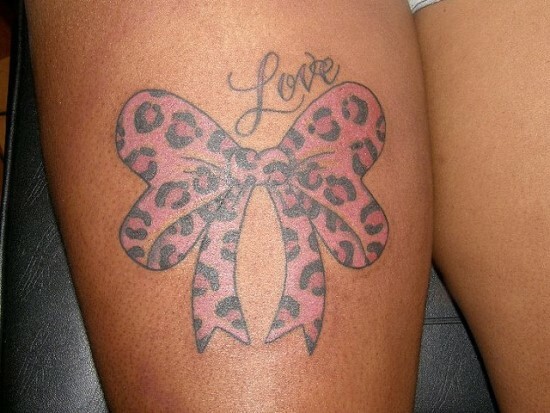 Men may get this tattoo inked on back, arms, hand, etc. 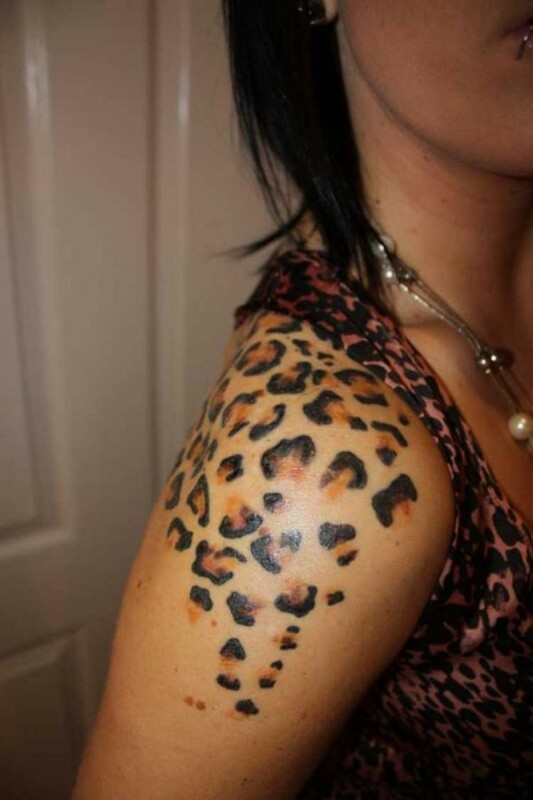 Leopard and cheetah are two belonging to the cat family hardly differentiable because of their similar skins. 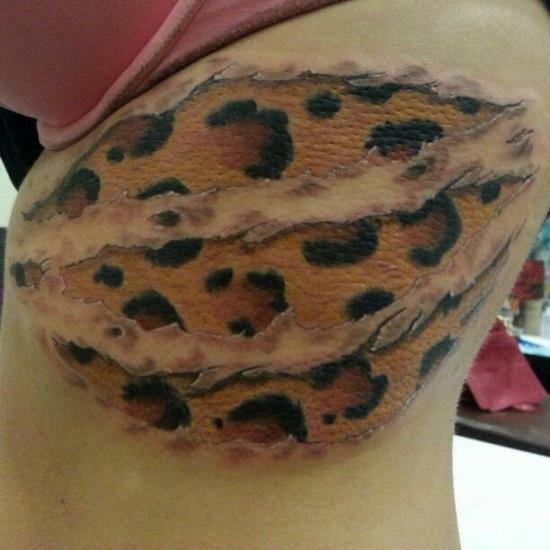 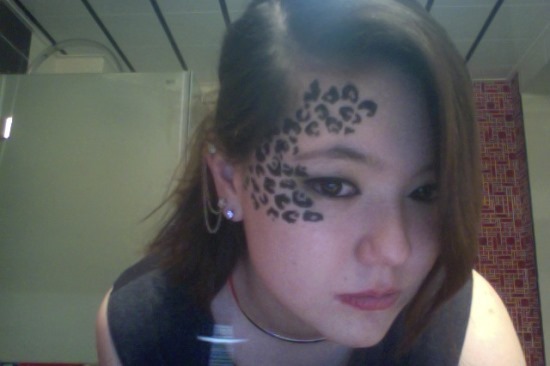 Hence, many even get a leopard print done in the name of cheetah tattoos. 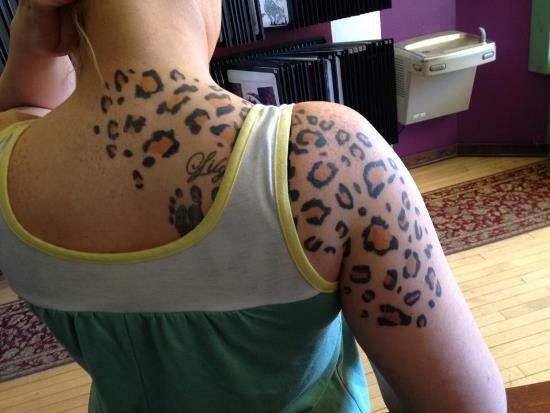 However, there is a slight difference in the two animal prints. 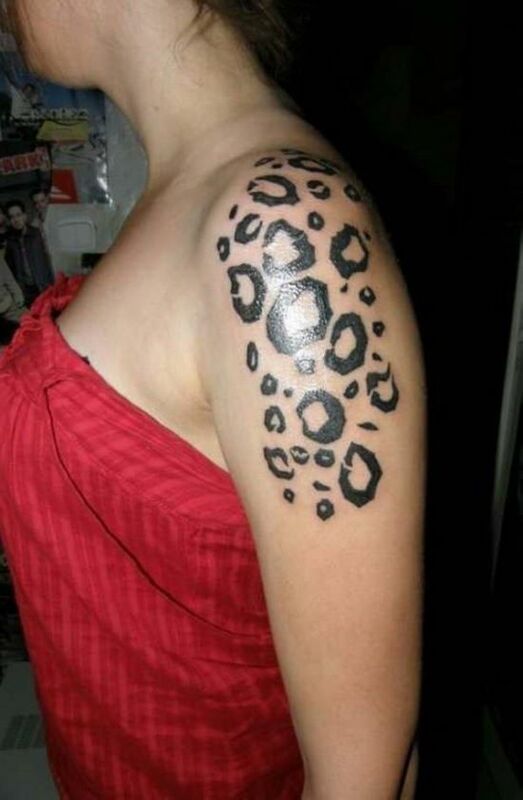 If you look closely a leopard print is that of a small circular black ring with a lighter color inside, where as a cheetah simply have whole black spots on their body. 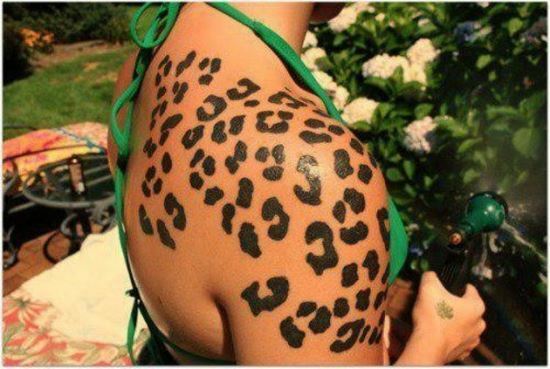 So, most of the fashion accessories that you wear or see thinking it is cheetah print may actually be a leopard print. 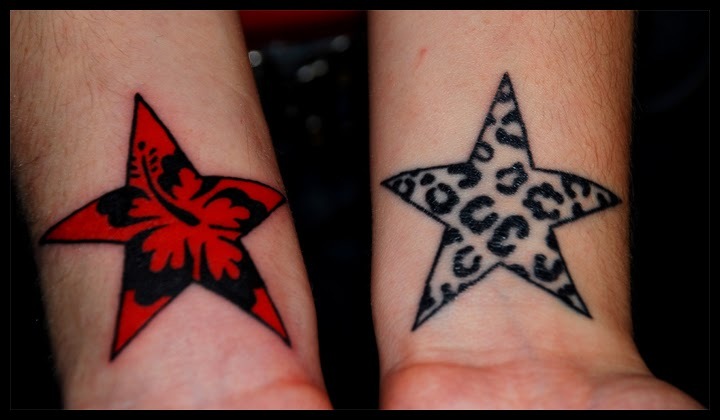 However, for tattoos, both prints are considered to be almost the same and even treated as same. 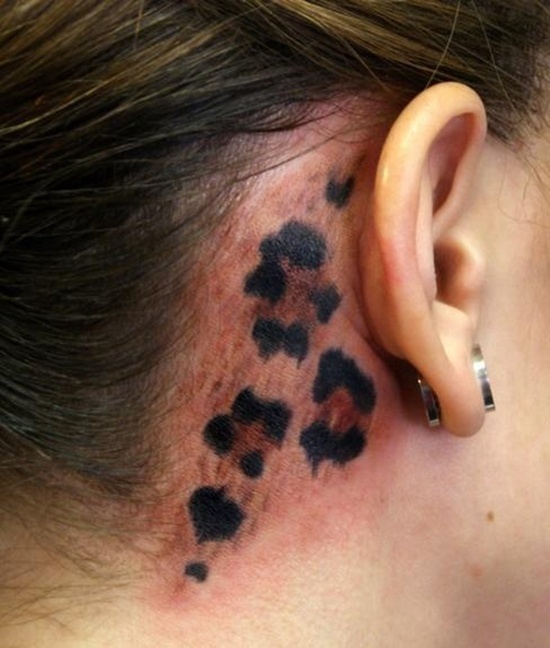 For a cheetah print tattoo, there are many designs you can adapt for your body. 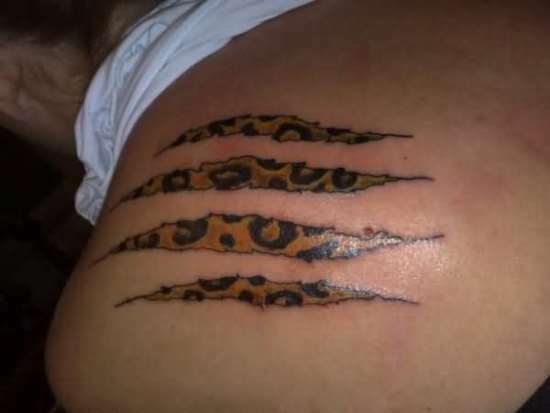 There are claw marks pattern that are ingrained with cheetah print, giving it a 3D effect to make it look real. 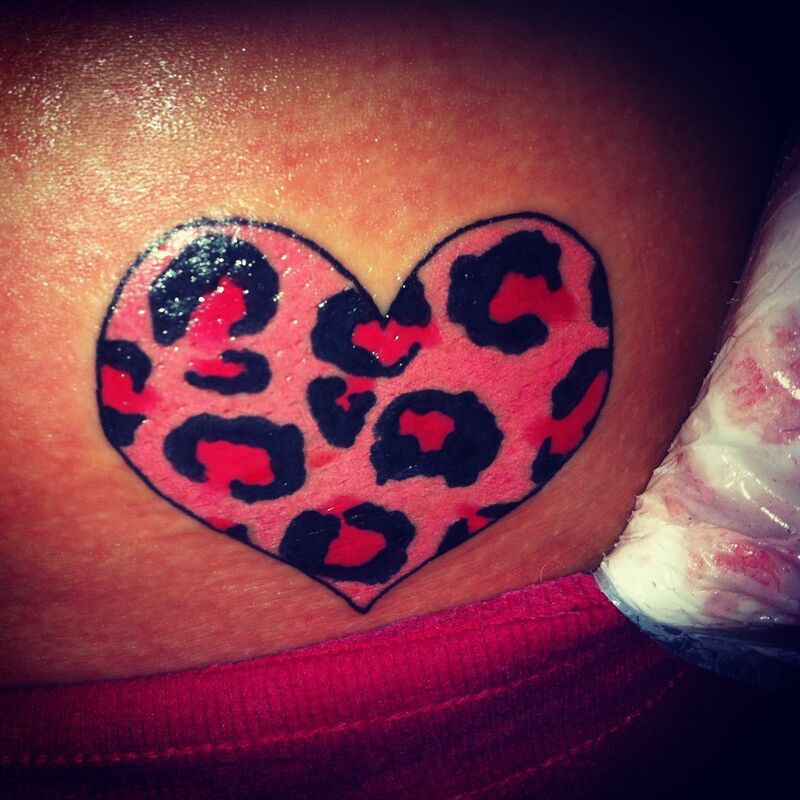 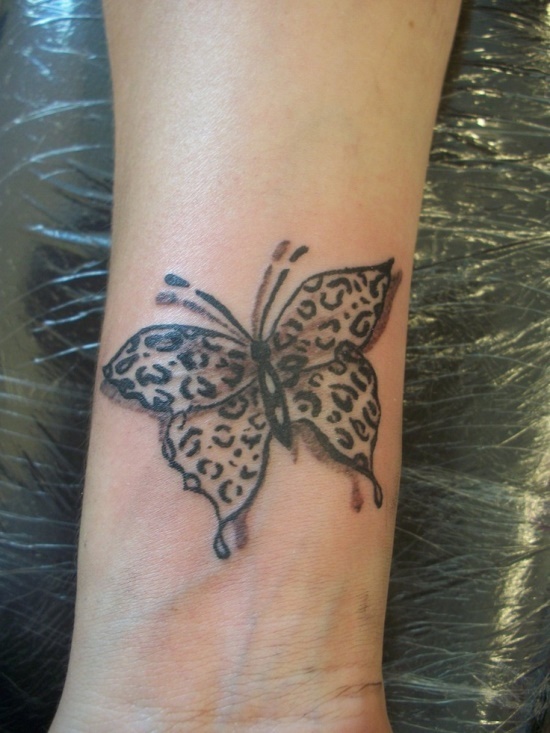 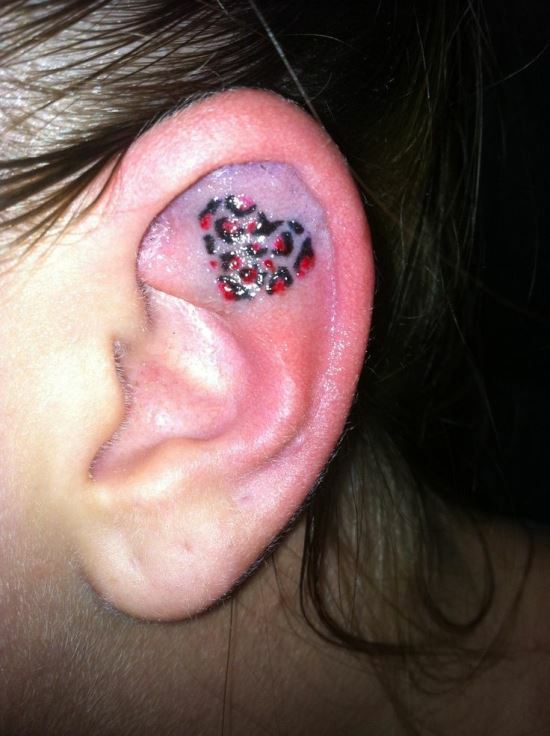 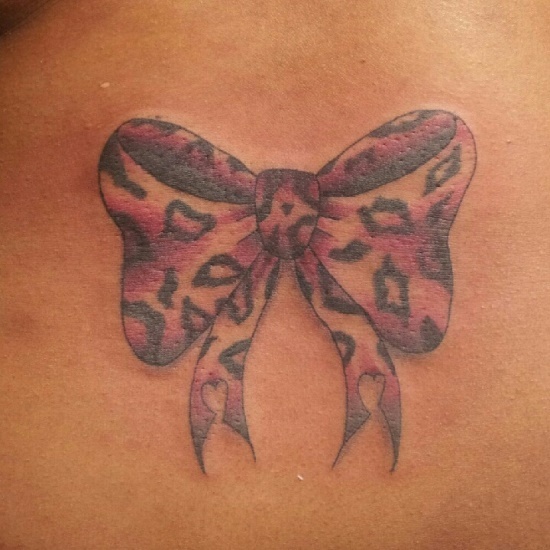 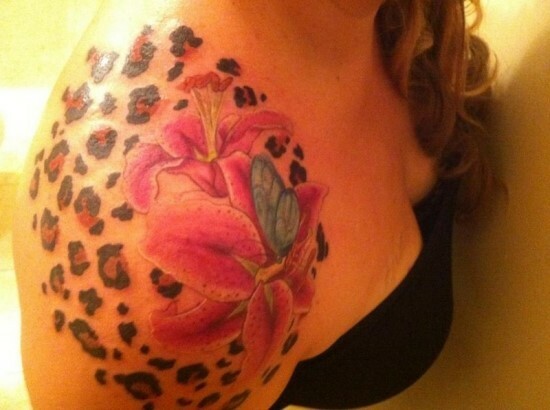 You can otherwise simply have a freehand design inked on any body part of your choice with a cheetah print. 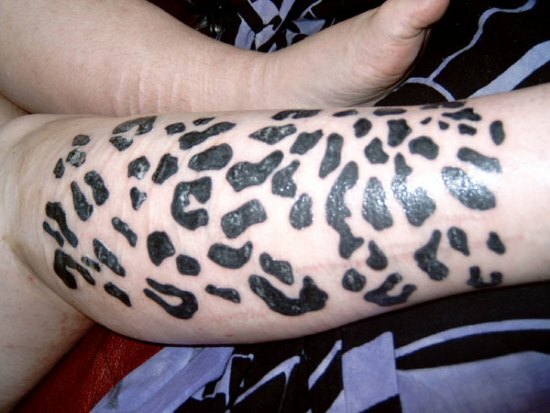 Furthermore, you can actually have a cheetah inked all with it black spotted skin, giving it a majestic appearance. 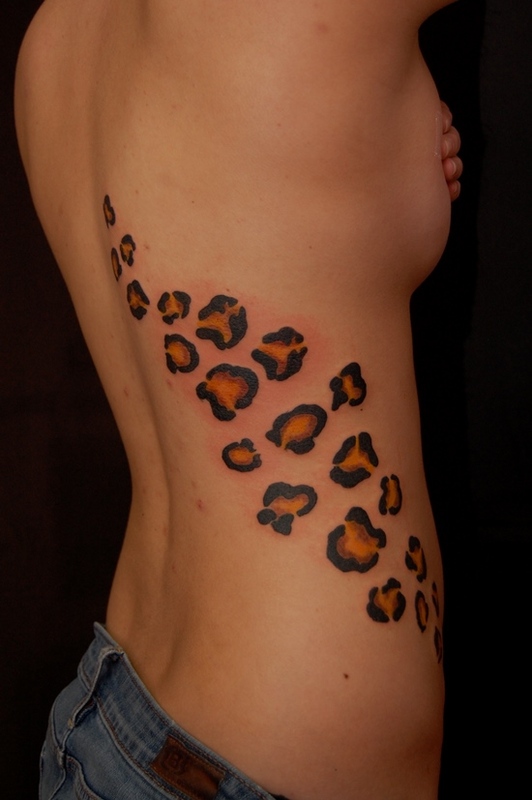 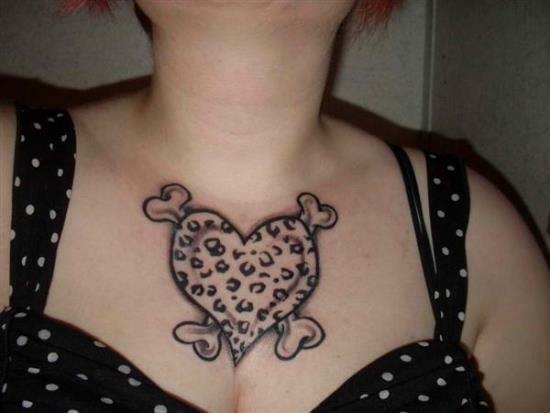 Men also get chest cheetah print tattoos done, which only makes them look all that more appealing. If you look and surf around you might be surprised at the number of options you have at hand for getting a cheetah print inked on your body. 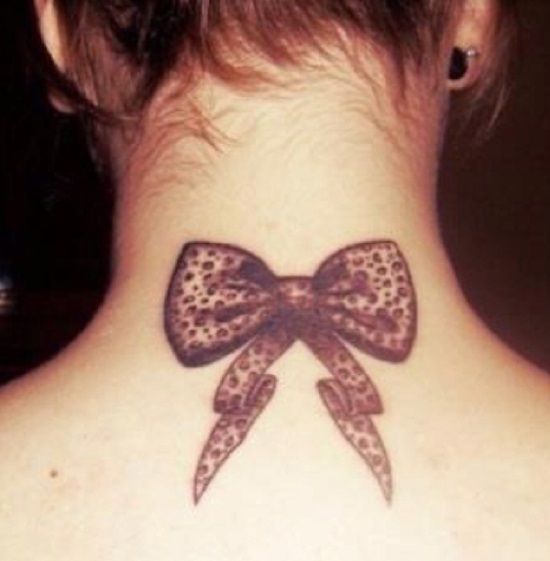 We, as usual, are always there to help and here we are again. 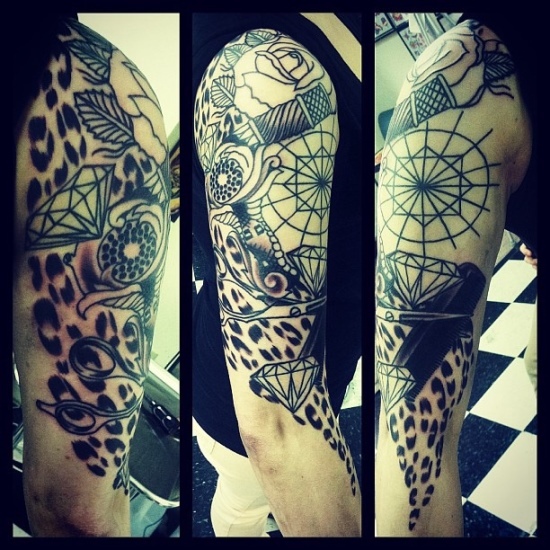 We have gathered 50 rocking cheetah print tattoos for you to sift through and choose the one most suitable for you. 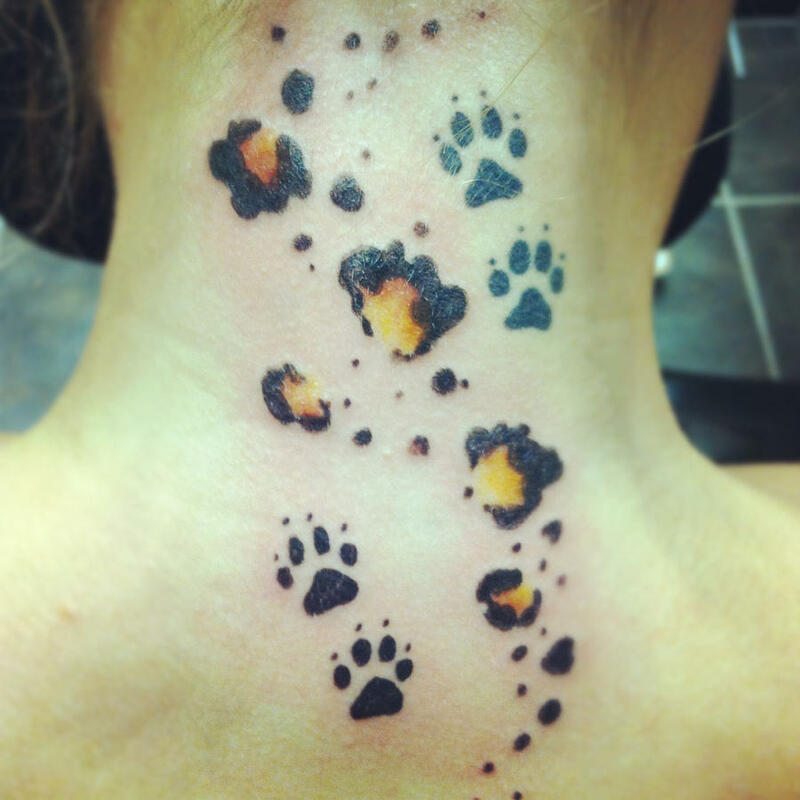 Color variations can also be done, just in order to bring something unique to your tattoo.